In response to escalating crime and violence witnessed through the 1960s and 1970s, L. Ron Hubbard founded the Volunteer Minister program. This program was designed to provide practical tools for encouraging human understanding and compassion. Moreover, Mr. Hubbard expressly designed these tools for use by Scientologists and non-Scientologists alike. From this vision was born a broad-based movement of individuals from all walks of life. These individuals, known as Volunteer Ministers, dedicate themselves to delivering on-site assistance to communities around the world in times of need. 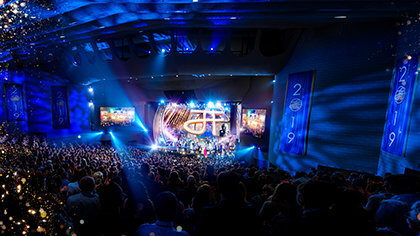 After 9/11, David Miscavige’s legendary message to all Scientologists inspired the creation of a global force of more than 200,000 Volunteer Ministers who have been active in over 300 of the world’s worst-case disasters. Over the last 30 years, Scientology Volunteer Ministers have provided emergency service at more than 300 worst-case disaster sites—wading into tsunami devastation, into the aftermath of earthquakes and landslides, and following man-made disasters. 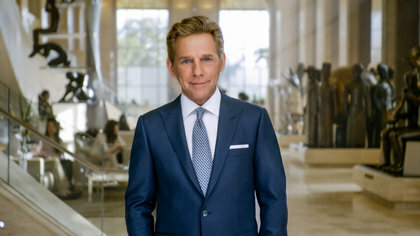 While no one could have accurately predicted how the events of the 9/11 terrorist attacks in New York City would tear away society’s social veneer, Mr. Miscavige clearly recognized that it was time for Scientologists to redouble their efforts to aid their fellow man. The same day, he issued a now-legendary, internationally-distributed directive entitled The Wake-Up Call. In accord with its title, this communication immediately inspired astonishing growth within the Volunteer Minister program. As of September 11, 2001, there were 6,000 Volunteer Ministers worldwide. Today, they are among the world’s most widely recognized independent relief organizations, with over 200,000 Volunteer Ministers on call internationally.